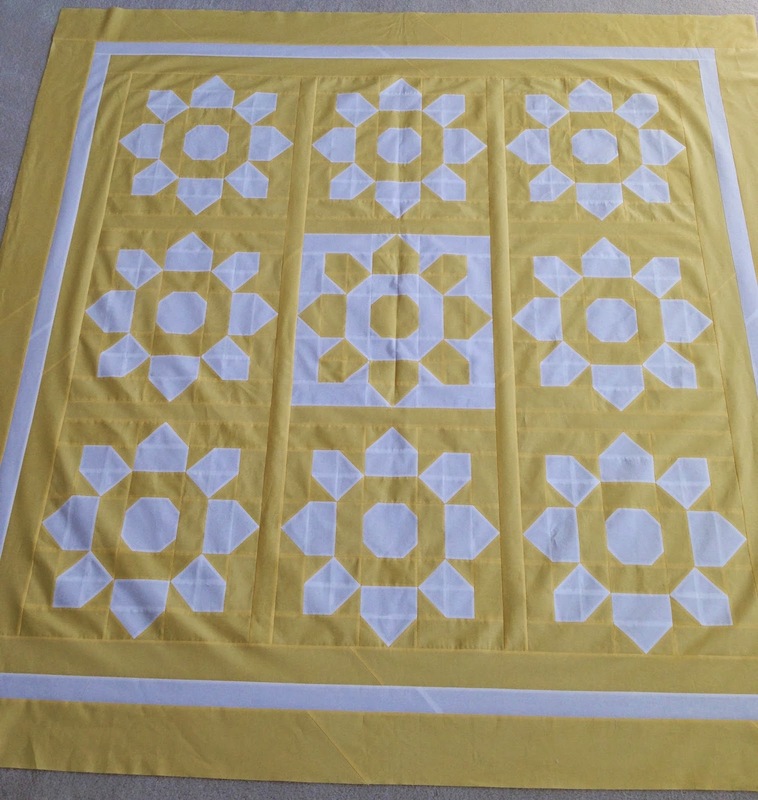 Did you happen to see any of the yellow and white quilts made for the Under the Garden Moon Quilt Retreat? There were several lovely quilts, but there was one Blossom quilt that really appealed to me, so I ordered some yellow fabric and bought the pattern. For my yellow fabric I chose the Moda Bella Solid 30's Yellow, 9900-23. It's just the yellow I wanted, a very pretty happy sunny yellow, not a bright lemon yellow or pale weak yellow. The pattern calls for 9 blocks, all the same color. I decided to reverse the fabric for my center block. After the bold colors of my flowering snowball quilt, and the hectic week in Paducah, I was ready for a calm project, in color and difficulty. It finished at 84" x 84"
It has approximately 606 pieces. I have this book and love this quilt. Once again you have inspired me! A funny - years ago I was at a quilt club meeting. The speaker that evening said you never want to have too much yellow in a quilt as it is a loud color. Next up in show and tell, one of the members had a yellow and white quilt to show! We all laughed, but really the quilt was beautiful. It's all in what we love and want to sew with. I think a yellow/white quilt is perfect for this time of year, and you just proved it again. 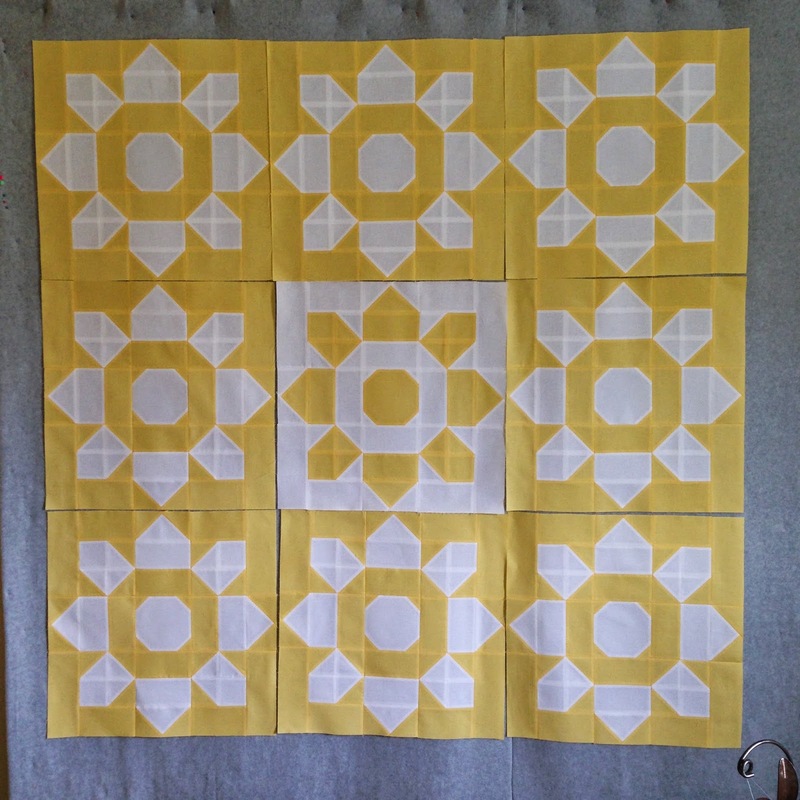 I am so pleased to see more yellow quilts on the internet recently! Yours is particularly lovely! Gorgeous!!!! Another one that I will add to my to do list! Such a happy, sunny quilt! My mother has always loved yellow; this makes me think of her and that I ought to make her a yellow quilt! Yours is beautiful! What a lovely shade of yellow... my favorite color! 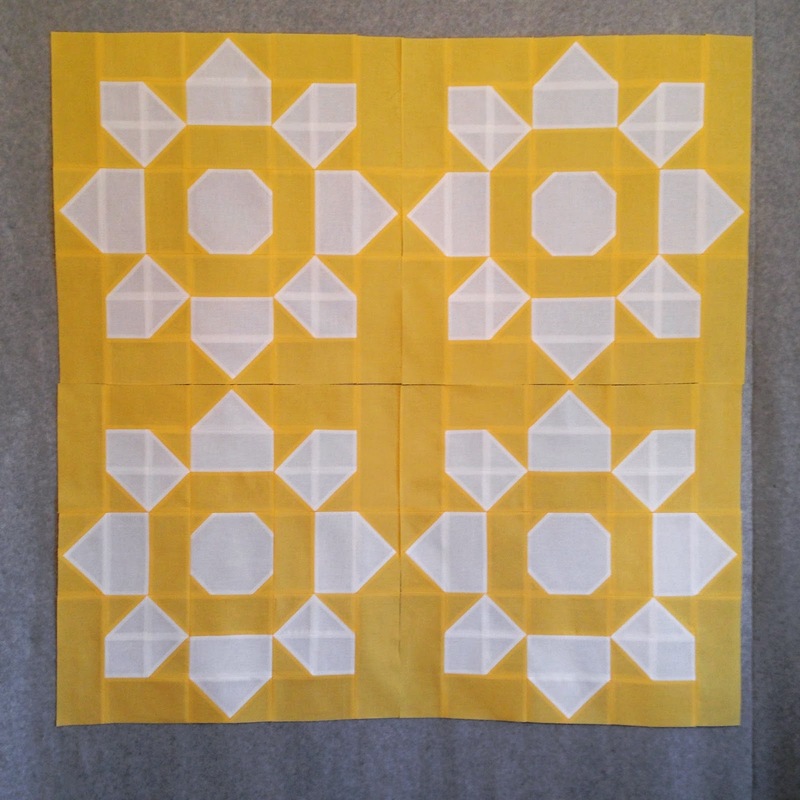 Love the graphic quality of this quilt ...changing the center block is a great design element. And for the record you can never ever ever have too much yellow! This is such a bright and cheerful quilt!! Just makes me smile. Perfect for spring. I am collecting yellows to do a scrappy yellow quilt this Fall for next Spring on my bed. Loved seeing this one. Just a beautiful Quilt Thelma !! How pretty, Thelma! I need to catch up on my blog reading. 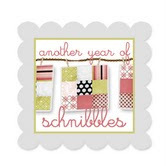 So pretty and cheery! Love that book too, has so many great patterns in it. Love Love Love! 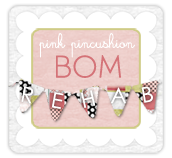 Beautiful, bright, calming and fun!